Tony Hsieh and the Downtown Project: The dark side of a Las Vegas techtopia. 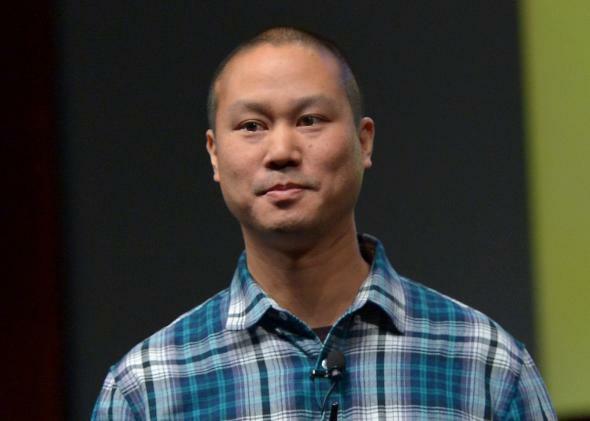 Tony Hsieh, founder and CEO of Zappos. Silicon Valley has a lot of odd characters, but Tony Hsieh, the founder and chief executive of Zappos, is among its oddest. He’s considered to be both introverted and intensely charismatic. He shies away from the media spotlight but allows elaborate tours of his personal quarters. He built Zappos to more than $2 billion in annual sales, then nixed all job titles and managers in favor of a radical “self-governing” structure known as “holacracy.” And he’s spent two years and hundreds of millions of dollars on remaking Las Vegas according to his lofty techtopian vision. While being optimistic reduces stress, trying to be optimistic can increase it. The notion that positive thinking is correlated with good health puts enormous pressure on people to cleave to beliefs that they don’t actually trust. Someone develops cancer, and everyone around her tries to encourage her good moods and reprimands her when she is weepy or negative. It makes for a terrible sense of failure. And if she tries to be positive and gets sicker anyway, the tendency is for her to feel guilty, somehow culpable for the degeneration. It should be telling, then, that one of the people Hsieh reportedly hired as part of a suicide response was Mark Rowland, a career coach who goes by the title of the “Happy Cheerleader.” Or that when Factorli—the project of an entrepreneur who followed Hsieh to Las Vegas as if he were the Pied Piper—began to flail, the Downtown Project team lost interest and killed it off. And that Hsieh, for his part, said he was not involved with Factorli and told Bowles he could not answer questions about it. It’s too soon to tell if the Downtown Project was a legitimate venture or the egomaniacal whim of a wealthy technocrat. But the sixth installment in Re/code’s series is a dark and deeply disconcerting reminder that “delivering happiness” to a real community is not so easily distilled into a 272-page book.